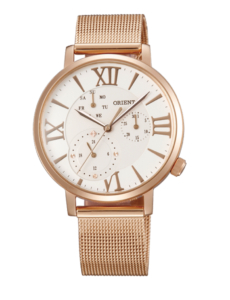 Orient has specialized in the manufacturing and growth of mechanical timepieces since 1950. This brand has been at the forefront of the production of mechanical watches in Japan, and join a short list of watch companies that manufacture their movements in-house to ensure that the quality of their wristwatches are held to the highest standards. 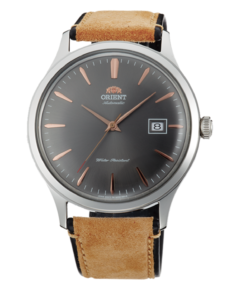 Orient’s watches have often been praised for their rich styling, reliability, robustness, and value. The Mako II Watch builds on the Orient Watch’s the Mako diving watch legacy. This is the highly anticipated watch is powered by a 22-jewel, Caliber F69 automatic movement, that’s self-winding, hand winding, and hacks (second hand halts when you pull out the crown). With an improved uni-directional bezel with 120 clicks, and it has a new case design for a trimmer, more simplified stainless steel look. For this fourth iteration of the timeless collection, the Bambino Version 4 chose to move back to its roots, all the while taking inspiration from previous models along the way. The signature domed crystal but in a new rounded and diamond shaped. Now with sunburst dial colors, this watch is the perfect, classic accessory. Named after the Goddess of Mountain, Lions, and Hawks, the Cybele timepiece carries with it an air of freedom and grace. A timepiece perfect for the nights out as well everyday wear. The Cybele displays day, date and comes with a handy 24 hour indicator, which is useful when traveling around the world. A gorgeous everyday watch that will complement any outfit. 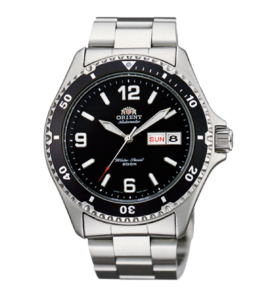 The online USA Orient store has by far the largest range of Orient products in the world. The USA Orient online store unfortunately does not offer international shipping. Not to worry though! Big Apple Buddy, your personal shopper, can help you buy products from the USA Orient online store and ship them to your doorstep, no matter where you are in the world. We offer international shipping to over 110 countries including Australia, Austria, Azerbaijan, Bahrain, Belgium, British Virgin Islands, Brunei, Bulgaria, Canada, Chile, Costa Rica, Croatia, Czech Republic, Denmark, Estonia, Fiji, Finland, France, French Polynesia, Germany, Gibraltar, Greece, Greenland, Hong Kong, Hungary, Iceland, Indonesia, Ireland, Israel, Italy, Japan, Jordan, Kuwait, Latvia, Liechtenstein, Lithuania, Luxembourg, Macau, Malaysia, Maldives, Malta, Marshall Islands, Mauritius, Monaco, the Netherlands, Netherland Antilles, New Zealand, Norway, Oman, Poland, Qatar, Romania, San Marino, Saudi Arabia, Serbia and Montenegro, Seychelles, Singapore, Slovak Republic, Slovenia, Spain, South Africa, St. Lucia, Sweden, Switzerland, Taiwan, Thailand, the UAE, the UK, Vatican City, and Vietnam. If you would like to buy from the USA Orient online store, simply let us know which items you would like to order (by filling out the form below) and we’ll get back to you with a free international shipping quote within 24 hours!